By Aine Hennessy | April 23, 2013. The Forbidden Fruit festival will return to Kilmainham this June for what promises to be a jam-packed weekend full of music, art and comedy. Despite being scaled down to a two-day event, the 2013 line-up offers an extensive range of music to suit all tastes. With four different stages, festival-goers can expect everything from alternative rock to funk and DJ sets. 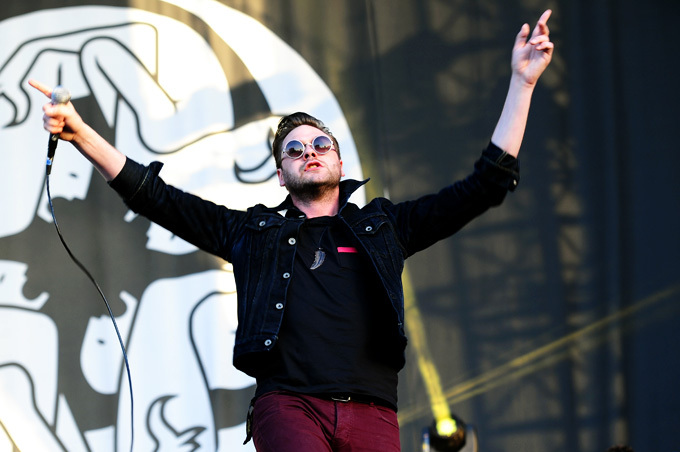 Indie rock band Kasabian have been announced as one of the headlining acts this year. TheNME Best British Band of 2012 is renowned for their immense guitar riffs and on-stage presence. With a string of hits such as ‘Clubfoot’, ‘Shoot The Runner’ and ‘Fire’, they are sure to tear up the main stage on the Saturday night. Some more artists confirmed to play on the Saturday include experimental electronic act Crystal Castles, collaborative duo Neon Neon and Jamaican reggae singer Lee Scratch Perry. Playing out the main stage on the Sunday night will be the critically acclaimed rock band Primal Scream. With their new album More Light due to be released next month, the Scottish act are anticipated to create an ecstatic ambiance whilst belting out both the classics and some great news tracks at this year’s event. The Sunday line-up also offers a wide variety of other artists including R&B and funk act Chic, electronic sound Four Tet, and indie-folk band Daughter. Since its debut in 2010, Forbidden Fruit offers all the qualities of a major festival, gourmet food and side-splitting comedy – but avoids the less appealing concept of camping in a cold wet tent. On Dublin’s doorstep (literally) and at an affordable price, Forbidden Fruit will hope to attract both the locals and the avid festival pilgrims alike this June bank holiday. Forbidden Fruit takes place on the grounds of the Royal Hospital, Kilmainham on June 1st and 2nd 2013. Tickets are €54.50 for one day and €99.50 for two days respectively. Tickets are available now on Ticketmaster. Photo by Stuart Sevastos via Wikicommons.